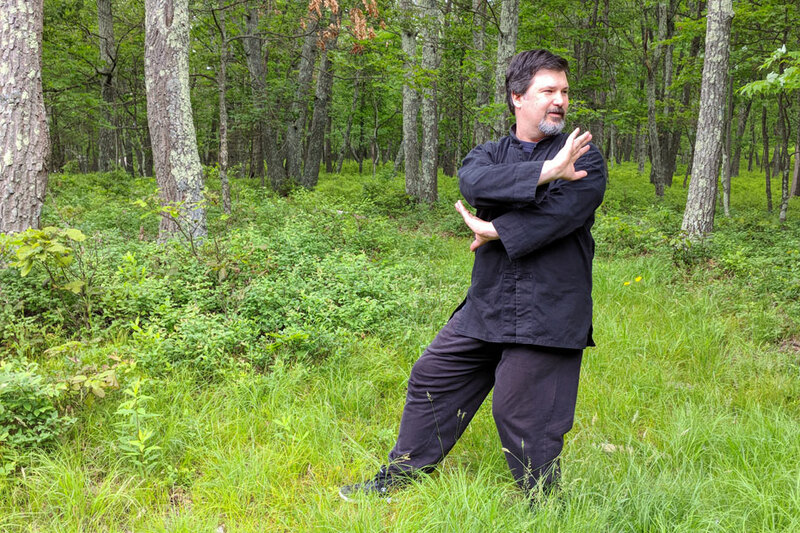 A traditional Chinese martial art for stress relief, better health and self defense. Baguazhang is a Chinese martial art known for it’s deft footwork and unique circular movements designed to deal with multiple opponents – allowing a practitioner to suddenly generate force and move in unexpected ways. It is often referred to as an “internal” martial art, meaning that training starts with developing one’s mental focus and visualization skills to enhance what the body can do – usually starting with learning to relax any muscles not needed for a given action. 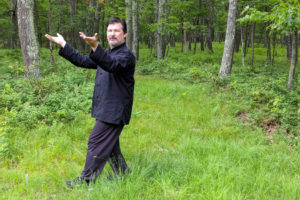 Because of the various twisting and turning movements, coupled with relaxed mental focus, Baguazhang has a reputation for having many positive “side effects” which relieve stress and promote better health. Nine Dragon Baguazhang (Jiulong Baguazhang) is a family style of Baguazhang which also employs images from the Yijing (the Chinese “Book of Changes”) to represent various “Dragons”, each with it’s own personality and way of moving. For example, the Water Dragon is very fluid and “flows” into any opening it finds. The Fire Dragon by comparison can be explosive. These images are used to empower one’s movements much in the same way that other styles of kungfu might try to imitate a tiger. Is this related to Tai Chi? 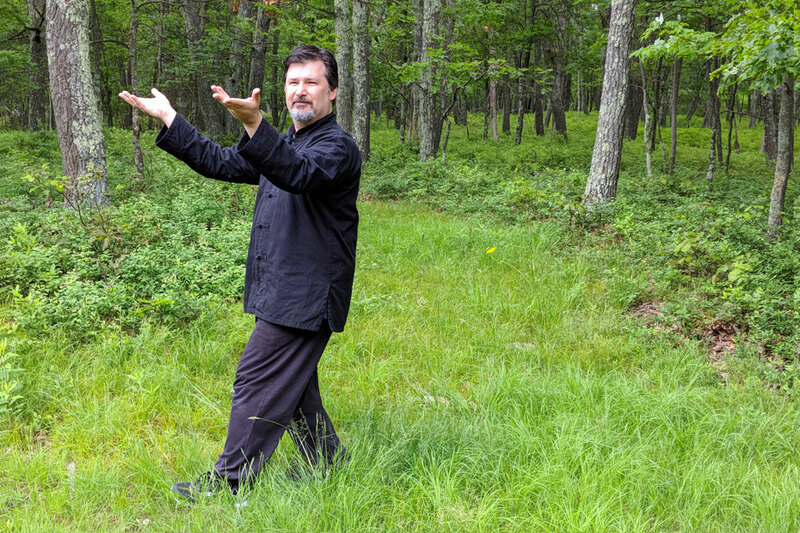 Taijiquan (Tai Chi), probably the most popular Chinese internal martial art, is a cousin to Baguazhang. Both utilize fluid movements and promote relaxation in their training. 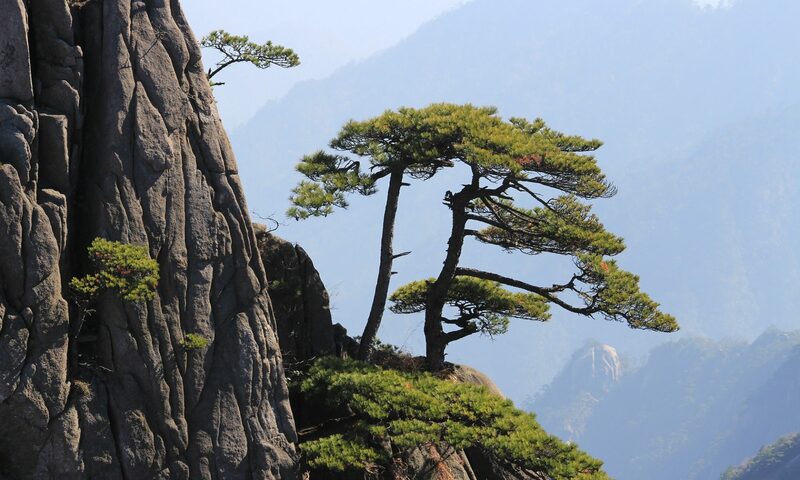 There is some similarity in the meditative aspects of practice. However, there is a wide variety in Tai Chi classes and many only focus on repetitive forms, like performing a gentle dance over and over. In our class, you will learn to combine relaxation with skills of speed, timing and force – in short, how to use your body better in the real-world. We train this systematically in a way that’s engaging and often fun.